Successfully Added MP4 Music Movie Player + MIC Recorder - 1GB to your Shopping Cart. 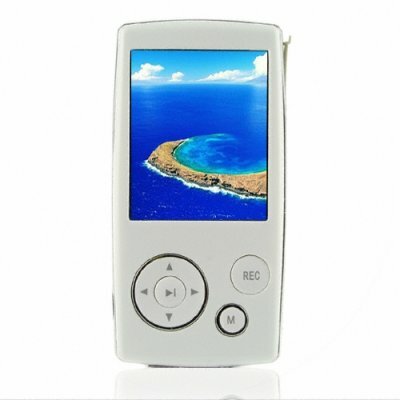 MP4 Player with a smooth streamlined design and 1GB of internal memory, perfect for storing and playing movies and music and with a unique one touch MIC recording button. With this PMP's extra large 2 inch TFT LCD screen for high resolution displays, a nice little TF/ Micro SD card reader for expanding your memory up to 2GB more, as well as high fps and super sound from both the earphones and built in speaker, this is a meaty MP4 player you will be proud to show off to your friends. Chinavasion offers this digital media player with no MOQ and the lowest price on the internet, so buy a sample for yourself or buy in bulk for greater wholesale savings..